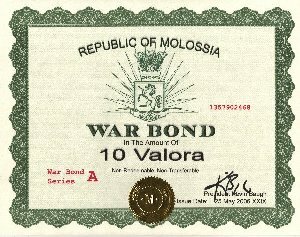 BUY WAR BONDS, AND SUPPORT THE WAR AGAINST EAST GERMANY! 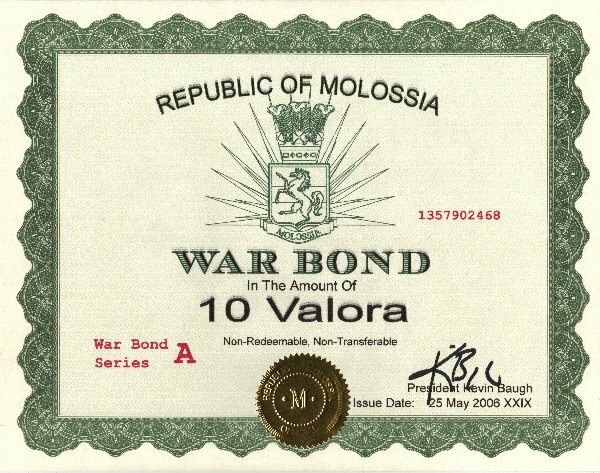 Inasmuch as the War with East Germany is ongoing, the Government of the Republic of Molossia is again issuing War Bonds. Your help is needed to support the war effort, and bring a successful conclusion to the conflict. Thank you for your support and help in bringing victory to our nation!